Refugee group exhibition opening with Jenny Kee at Everglades House and Gardens Gallery, Leura. Over 15 artists have donated their work to support the work of Blue Mountains Refugee Support Group. Operation Art is the premier state-wide visual artsexhibition for school students from Kindergarten to Year 10. With over 800 artworks by students from throughout NSW, this year’s exhibition offers Armory Gallery visitors a great opportunity to celebrate the creative talents of our young people at our unique riverside setting. Presented in partnership with NSW Department of Education & Communities and The Children’s Hospital at Westmead. We are excited to announce our September Event and hope that you got to see the Vivid collaboration 22 May – 8 June 2015. Lightwell explores the concept of collective expression and discovery. Participants work together using hand gestures to ‘splash’ and scatter rippling coloured lights over a textured brick wall, revealing hidden designs and animations. 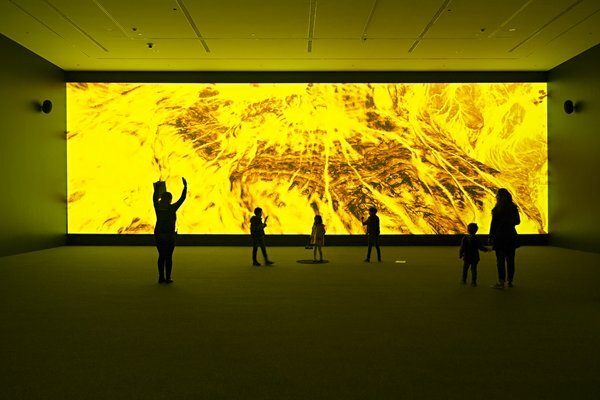 Large-scale illustrations and images are illuminated by the scattered light-paint, and when specific sections of the wall are touched by the light, other gems explode into life, in the forms of small animations, short filmsequences and vibrantly coloured, animated designs. Further interaction triggers an ambient soundscape – a collection of rhythms and amusing one-liners – to accompany the animations and film sequences. 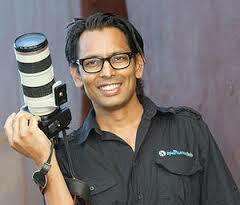 The Aperture Club – Art and Soul: The Secrets of Great Portrait Photography with Shane Rozario. What is a good portrait? Some ideas that gave me food for thought from Shane’s presentation. Photographers follow something, are driven by an interest, they have a curiosity while growing to understand the differences in your likes and dislikes. The little wins all become part of the experience and building confidence. Make friends with your subject, consider making stories, tune into observations, look for shots, think about the bigger vision, experiments lead to new experiences and new inspiration. Look at your work and learn how to predict what is going to happen. Pre visualise the result and shoot for this result as you might not always have control of the colour, background, tone and light. Sometimes there will be no control except for the timing. Understand how to work with light, shoot with the light, lighting for a particular situation, backlighting for a mood and consider the shadows. There is also movement, flash and slow shutter speed, ISO can shoot in darker spaces, not always about thirds there are other thing such as triangles and in film you can underexpose the shot for multiple exposures. The background is part of the photograph. Reality v the artistic version of reality. Consider things like setting up a studio on location, building a series, shooting for the series, navigating direction, express what you want to say in the photo with psd. Have a fair and ethical exchange, everything you do makes you better and genuine people will let you achieve you goal and the joy of having a photo that is used. For me – I like to capture a moment of time or is it ‘in’ time and see how the photograph changes over time. What is actually changing? What do I like to see change? Community Event of the Year: Our achievements were recognised with the awarding of an Australia Day Award for the Hunters Hill Community Event of the Year 2013. HarbourSculpture is an opportunity to engage the community and artists in the visual experience of sculptural works and sculptural space against our Harbour location. A unique exhibition of art, held annually on Sydney Harbour. Spread across Clarkes Point Reserve and through the Deckhouse function centre and surrounds. HarbourSculpture attracts the best Australian sculptors to exhibit their work. A few snap shots of my photography day with Eva at Hornsby Quarry. Daniel Kukec – After pulling the pin on corporate ladder and armed with camera, Daniel embarked on a life changing journey of discovery around South America. It was there, wandering the streets, where he became captivated with observing life and everyday moments. Little did he know that the energy on the streets – these highways of life – would ignite a search for not only purpose and meaning, but also a passion for capturing urban life and the human condition. Searching for these moments became a creative obsession. When Daniel is not shooting ‘street’ for fun he is a professional wedding and events photography as well as an accomplished tutor with The Aperture Club, where he is often found teaching our street photography workshops, of course… Come on an adventure with Daniel and listen to the story behind some of his favourite images. Daniel broke his shots and presentation into Landscapes, People , Street Art and spoke about Observation, Stories and Connections, Graffiti and Wall Art, Light, Approaches, Composition, Humans being Human. Searching for observation and when committed to something people offer something. View Bug The world’s best photo contests, 20 new contests every month; judged by world-renowned photographers, and sponsored by top brands. Share your best work. Inspire others and be inspired. Australian artists David Haines and Joyce Hinterding live and work in the Blue Mountains, NSW. Their collaborative practice incorporates experimental and traditional media to investigate Hinterding’s fascination with energetic forces and Haines’ attraction to the intersection of hallucination and the environment. Both artists are captivated by the unseen energies that surround us and seek to reveal them to audiences through work that draws upon aspects of science, the occult and philosophy. The artists work across a range of media and processes, including sound, installation, moving image, performance, sculpture, photography and drawing. This exhibition is the first comprehensive survey of their work and includes a number of key collaborative projects, solo works by both artists, and a new commission. Curated by MCA Curator, Anna Davis. Want to learn how getting the entire team connected can maximize creative time and make life easier for everyone, an efficient pipeline. Are smart devices taking over the world and how is the content created? How shotgun enables this to happen as team sizes are increased along with the size of the data content. How are assets managed. Virtual reality and augmented reality experiences. Autodesk have a market connectionor online market place where people can sell assets. Ian Cope has been with Rising Sun Pictures (RSP) since 2001. He has contributed to the design & execution of visual effects on feature films such as the Academy-Award® winning Gravity, Seventh Son, Prometheus, Red Tails, the Harry Potter series, Green Lantern, and Pirates of the Caribbean: On Stranger Tides. He is currently producing RSP’s work on Pan and Tarzan: The Untamed. Ian’s journey in visual effects began with a trip to Hollywood in the 80’s, where he was inspired by a behind-the-scenes tour of Universal Studios. He spent the next 10 years learning all he could about computer graphics, culminating in a Design (Visual Communication) degree at the University of Technology, Sydney. His professional career has included roles as an Animation & Video producer, Hardware & Application Specialist, IT professional, and a lecturer of tertiary students in Animation & Visual Effects. Ian’s many roles within RSP have included Compositor, Production Supervisor, Editor, Communications Manager and Bidding Producer. He also worked on the initial development of the remote collaboration tool cineSync, which won a Scientific & Technical Academy Award in 2010 for its contribution to the film industry. Additionally he worked with the original Shotgun team for the rollout of the software at RSP’s studios, the first in the world to do so. Ian draws on his extensive experience to deliver world-class visual effects to clients around the world. He is also an active member of the Visual Effects Society and a board member for the Australian section. SMPTE – autodesk: David Zwierzchaczewski, Animation Specialist. The latest bells and whistles in Maya 2016. Lars Borg – Principal Scientist at Adobe, has over 20 years of experience in color management. Lars develops solutions, specifications and standards for digital imaging, image processing, digital cinema (ACES), color management, CinemaDNG, high dynamic range, wide color gamut, UHDTV, video compression, metadata, holds over 30 patents in these areas, and is active in SMPTE, ISO and ICC standards developments. Bill Roberts – Senior Director of Professional Video Product Management at Adobe, has worked in professional video and audio for over 25 years, with the majority of his career focused on developing software tools for creative professionals. He is an expert on video, film and file based workflows and the impact that the Internet / Cloud Computing is having on both content creation and consumption. Exploring many issues regarding DCP authoring and distribution, and discussing workflow solutions and mobile color science. – What can you do to maximize a DCP pipeline, from shooting to post? – Issues with SMPTE DCP – why has the transition been difficult? Why is the adoption rate not higher? – 4K, 8K and beyond – what is Rec. 2020 and what do I need to know? Scott Miller Mahdi Nezamabadi Scott Daly Dolby Laboratories, Inc. Some terminology and concepts covered in this presentation: 4K, higher frame rates, GAMUT, HDR production, Colour Volume, Narrow or Wide Colour Gamut, Wide and Tall HDR, Wider Saturated Colours, Tall with headroom above 1– IRE, White, Below 0 IR, Colour Resolution, Rex 79 Curve, Display representation to preserve the greyscale, Rec BT 1886 display curve for HD/UHD, SMPTE ST2084 PQ Display curve, An exact match, Classic video grading technology not suited for HDR content, Black and White Anchor Points, 108 Diffuse White, ACES Academy Colour Encoding System, Colour Management, LUT, Colour Conversion, Colour Gamut Mapping, Tone Compression, Edit without losing colour with grading for different formats, Stored in metadata, NITS 48 nits for cinema, Brightness Levels, PQ Curve – gamma and LUT, Gamma Shift 2,6 least artefacts and 2.4 for CRT video, For the human eye, HDR and SDR display different systems with metadata, Tone Mapping Curve, Preserve the colour, Keep the shadow and do not want to lose the highlights, LOG, open EXR, Negative colour values of float, Absolute Black, HDR in/out. Brad Allen-Waters, Vicky Brown, Fional Davies, Jacqueline Drinkall, Roger Foley Fogg, Beata Geyer, Anne Graham, Billy Gruner, Oeter Holm, Locust Jones, Sarah Keighery, Danial Kojta, Fleur Macdonald, Georgina Pollard, Margaret Roberts, Abi Tariq, Miriam Williamson, Alex Wisser. To host High Quality, contemporary artists at the Blue Mountains Grammar School gallery, as a service to the local area, the school’s parent body and particularly its art students. As such, the aim of the gallery is to aid the education of BMGS students and the public and to provide a top level venue for curators and contemporary artists to exhibit and sell their art. Curated exhibitions exploring contemporary themes and practice, with an emphasis on (but not limited to) contributions from curators and quality contemporary artists living in the Blue Mountains. work includes Painting, Photography, hand painted digital prints, sculpture, glassware and works on paper. Experience the power, mystique and beauty of nature through the wildlife photographer’s lens. Be captivated by scorpions basking in the sun, snakes in search of food, and fireflies lighting up the night. See over 100 images selected from more than 40,000 entries worldwide and discover the amazing world we live in. Traditional Art Collection A wealth of over 50 traditional pieces features in this exhibition, which truly showcases the quality of design from ancient Korea. The Bridge between Life & Death: Ornaments of the Korean Funeral Bier It is widely believed that death is not the end of our being. Most of us believe in the existence of the afterlife and interestingly many cultures believe death is the beginning of our spiritual journey. The Ancient Egyptians believed that the departed made a journey through the underworld, contending with gods and strange creatures to reach the Hall of Final Judgement. In Greek mythology, the dead went to an underworld ruled by Hades through crossing rivers, such as Styx, which divided Earth and the underworld. Our ancestors in the olden days of Korea also believed in afterlife. Following Confucianism principle, the funeral ceremony held by the descendants was the start of a journey into the afterlife for the departed. The descendants decorated Sang-yeo (Korean funeral bier), the carrying device to transport a dead body to the graveyard, with wooden ornaments of birds, flowers and animals that contains different symbols in wishing for a peaceful journey to the afterlife for the departed. The exhibition of the ornaments of Sang-yeo (Korean funeral bier) will introduce Sang-rye (the traditional Korean funeral rite) and our ancestor’s wisdom and beliefs about death. Jazzine Barracks has been home to Australian military units for over 120 years and has been redeveloped not a 15-hectare heritage precinct. The Museum collects and exhibits artefacts and stories associated with the history of the Australian Army in North Queensland. A Permanent Mark: the impact of tattoo culture on contemporary art is a ground breaking exhibition that will explore and reconcile how two distinct industries – tattooing and contemporary art – are becoming increasingly interconnected. Tattoos and body art are central to many ancient cultures and civilisations, but it is the more recent popularisation and acceptance of tattoos in Western culture that has resulted in the artform permeating into the contemporary art sphere. 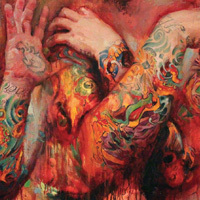 A Permanent Mark: the impact of tattoo culture on contemporary art will display works by significant local, national and international tattoo and contemporary artists that evidence the crossover of styles, technology and techniques, themes and iconography. 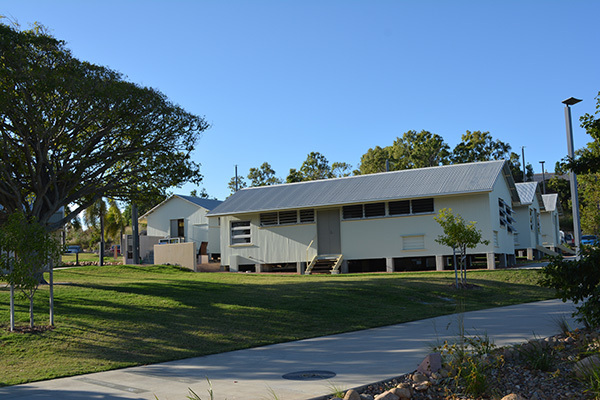 The Townsville Art Society (TAS) has had a number of ‘homes’ during its lifetime; more recent ones being in Northtown on the Mall, the Cat and Fiddle Arcade in the Townsville Mall, Kings Road Pimlico and now at Hut 25 – Gallery “Art at Jezzine” Jezzine Barracks, Mitchell Street North Ward. The Townsville Art Group was the genesis of the Townsville Art Society which came into being on 18 May 1962, although a group of artists had met earlier in May 1955 at Townsville High School to discuss the possibility of holding an art show. The exhibition, entitled ‘As We See It’ was opened at the Tree of Knowledge, Lower Denham Street on 28 July. There were 91 entries, and comments in a visitors’ book were enthusiastic. Encouraged by the success, ‘Artists of Townsville’ presented a second ‘As We See It’ exhibition from 7 to 10 June, 1956 with 96 entries and received another enthusiastic response. You don’t need to play by yourself any more! The Sandpit is a not-networking night, designed for people who hate to network. Every other month, creative business people and freelancers just like you meet for drinkies and chit chat in the safe and friendly environment of the pub. It’s all the good bits of networking (meeting people, drinking, getting out of the house) without any of the bad parts (awkwardeness, pressure to sell, feeling like a dill). Best of all, this is a wanker-free environment, and it’s free! For the first time, the heart of Head On Photo Festival is the ‘Festival Hub’ in Lower Town Hall. We will transform the space into a gallery, housing a selection of world class exhibitions and slideshows. The Head On opening night offers an exclusive preview of this stunning photography. Photographers, collectors, gallerists and audiences alike are invited to celebrate the announcement of the Head On Awards winners for 2015, where over $50,000 in prizes will be awarded across 5 categories. I ended up staying up all night and really pleased I went. I arrived an hour early and Martin Place was already packed, like where are the people that arrive in the next hour going to go. Chatted with the guys going in on the train, we were lucky with that train. They had come from Mt Druitt and the scheduled train did not exist so they had driven to Strathfield. When we arrived at Wynyard Station there were a lot of people inside the gates offering tea, coffee and anzac biscuits. There was a special feeling among the crowd. A couple of moments that were special for me was when all the lights were turned off for the minutes silence, thousands of people there in the nights darkness and not a sound. The other moment I will treasure was after the service people with people all around being in the moment and slowly the dawn came over the buildings. The clouds in the sky were waking up, looking down and it felt like they were sending their blessings. People gathered around the pipe band as they continued playing into the morning. I so wanted to stay for the parade, could not last the distance. Catafalque Party: 2.17 Battalion, The Royal New South Wales Regiment and supported by members from Ne Zealand Defence Force. Narrated by the Iconic Jack Thompson, this brand new special challenges the widely held perspective of the Gallipoli Campaign and the birth of the Anzac legend. Featuring never before seen interviews with these last remaining soldiers, Gallipoli: The Last Anzacs Tells All, reveals their politically controversial and passionate anti-government criticism of the campaign. Sydney Royal Easter Show: Sydney Showground – photographs by Margaret Dean. An annual agricultural event held in Sydney to promote and display livestock, produce and rural merchandise. The show celebrates all things Australian from our bush heritage to our modern day lifestyle. It is home to the largest carnival in the Southern Hemisphere with over 100 rides and games on offer, there’s something for everyone, showbags, animals, competitions, demonstrations, random stuff to buy, crazy hats, concerts, bull riding, sideshows, food, horse jumping, merry-go-rounds, rides, fireworks, monster truck and bikes shows. The Sydney Royal Easter Show Competitions are the events in which the Royal Agricultural Society of NSW measures and maintains excellence in agriculture. Held almost continuously since 1823, these competitions set the benchmark for a wide range of rural produce and skills, from alpacas to dogs, horses, rabbits, utes, flowers, arts, craft, district exhibitions, honey, baking, showgirls, woodchopping, whip cracking, street parades rodeo and the grand parade. It’s the 728-kilogram record-breaker that so very nearly might not have been. Australasia’s largest-ever pumpkin, an Atlantic Giant grown by Dale Oliver, slipped from a harness when it was being taken for a weigh-in back in January. The Animal Walk where we saw poultry, sheep, farm animals, cattle, horses, judging of the alpacs, pigs and the food farm, getting up close and personal with the friendly country folk and the farm animals. Art and Craft: has been a feature of the Sydney Royal Easter Show almost continuously since 1869. It is the biggest Arts & Crafts Competition in Australia, attracting over 4,500 entries, across almost 300 classes. Entries include portraits, rural landscapes, photographs, sculptures, pottery, cake decorating, silverwork, sugar art and more. New classes this year include Digital Artwork, Woven Tapestry and Lace. CWA Tea Room: Nothing says Australian country hospitality like the Country Women’s Association Tearoom at the Sydney Royal Easter Show. The CWA has been baking scones at the Royal Easter Show since 1947. They donate proceeds to organisations such as Medicins Sans Frontieres, people affected by natural disasters and to drought relief. The selfless ladies­ who work the famous Homebush scone stall every year do not make these delicious­ baked goods from scratch. Instead, they just add water. The scrumptious doughy goodies are whipped together from two tonnes of packet mix stored in large brown paper bags, with the batter supplied by Australian company The Manildra Group. The CWA baked a record 46,900 scones last year, raising more than $100,000. 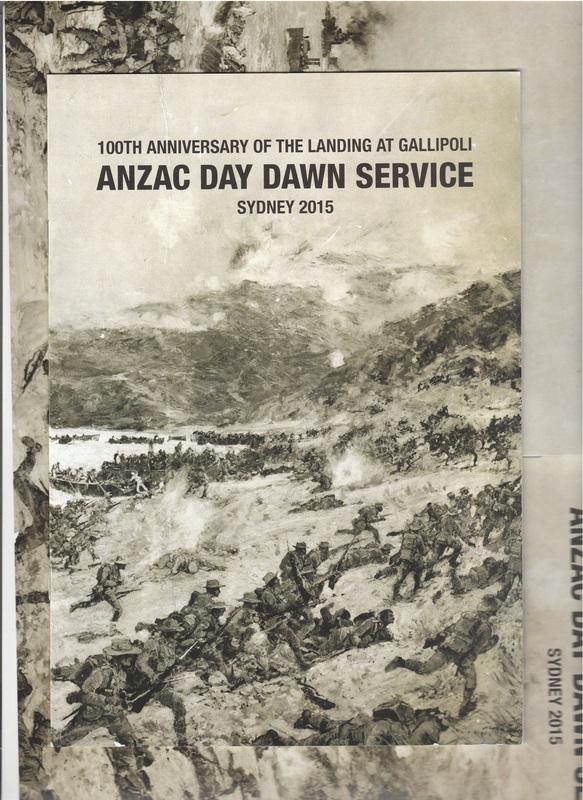 District Exhibits: This year, the District Exhibit displays will commemorate the 100th anniversary of the ANZAC Gallipoli landing by recognising ANZAC men and women in the artworks. The district exhibits allow the different areas of New South Wales and south-east Queensland to display their produce and their creativity, crafting scenes from wheat, wool, fruit and vegetables. This year the Northern District has taken out the top prize, with Central District winning the perpetual trophy for its display and south-east Queensland winning people’s choice. and then a walk through Side Show Alley to see rides you would never dare to take. Juilee Pryor – Juilee is working on Meditation on theRedundancy of Childhood for Cementa15, Contemporary Arts Festival at Kandos NSW. One hundred ghostly white toys silently reminding of our own impending redundancy and the fickle nature of time and desire………..all these chimeras of innocence abandoned on the streets of the city have been swept up and refashioned into a meditation on th temporary nature of childhood and life itself………..
Air Space Projects – Sarah Eddowes, Nicole Ellis, Hayden Fowler, Shalini Jardin, Fleur MacDonald, Sarah Newall, Raquel Ormella, Lynne Roberts-Goodwin, Ajay Sharma, Vivian White. Lynne Roberts-Goodwin. 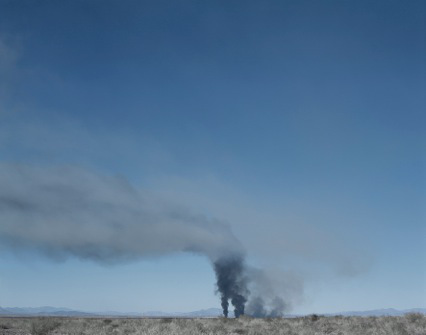 MORE THAN EVER a change of plan (burnout 1), 2014. Square Peg Studios– A unique space for making and learning all things jewellery. male Beck, Linda Blair, Kim Elliott, Brenda Factor, Kate Hutchinson, Fiona Meller, Margie Sampson, Bronwyn Vivian. Mess With It: Project Room – A new artist studio space in the heart of Marrickville’s Industrial area, home to over 10 visual artists, designers and event managers working across a number of contemporary art disciplines including painting, drawing, printmaking, sculpture, costume design, fashion, prop-making and theming. Cris Baldwin, Camilla Lawson, Ochre Lawson, Jacqueline Maybury, Fiona Roderick, Katherine Rooney, Maggie Stein, Mark Swartz. 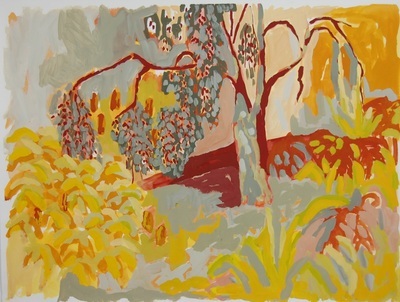 Ochre Lawson – Works on Paper 2012, watercolour and gouache on paper and painted plein-air or directly from nature. Sydney Symphony in Parramatta Park, presented by Parramatta Park Trust and the NSW Government. As part of Creative Paddington this panel discussed the impact of digital technologies across film, photography and border artistic practice since its introduction and what the future may hold as our dependency creases alongside technological advancements. Michael Fitzgerald – was arts editor for the South Pacific edition of Time magazine (1997–2007), managing editor of Art & Australia (2008–2012) and is currently Editor of Photofile magazine for the Australian Centre for Photography, and Art Monthly Australia, the country’s art magazine of record since 1987. 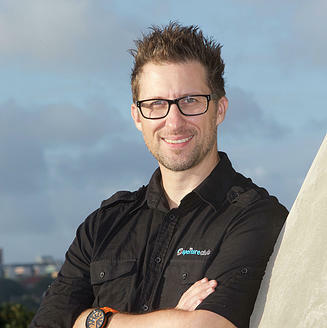 Chris Winter – has a long background in web and mobile projects, digital and interactive TV, technology marketing and radio. He managed the ABC’s initial digital-only TV channel ABC2 for its first two and a half years and sits on the board of Metro Screen. Recent work includes a study of the galleries, libraries, archives and museums sector in Australia, as well as pro bono for the Intelligent Community Forum in New York and its local counterpart, the Australian Smart Communities Association. Izabela Pluta – photomedia artist and UNSW A&D Alumna. 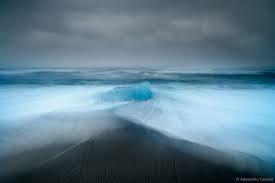 Izabela’s practice is rooted in photographic ideas central to the experience of place, the effects of time and the construction of reality. She has been awarded residencies, scholarships and grants that have seen her practice exhibit all over the world. In 2012 Izabela was commissioned to complete a major public art work for the City of Melbourne. The two-part billboard was installed on the CitiPower Station, Little Bourke Street in March 2013. In 2015 Izabela will complete a major site-specific work as part of the Mildura Palimpsest Biennale #10. What is the conceptualisation of content. Why are some people in photography returning to early processes, is it to create boundaries? The role of photography and technology in the marking of time, acknowledging history and our roots. People are returning to photo-books. Has kodak stopped making film? Access to information and purchasing via technology is an everyday way of life and it easier and easier with more focus on this accessibility. Mystic Renegade: The Promise of Return combines acclaimed contemporary artist Christian Thompson’s performative photography with text-based works and a video performance. Traversing Greek mythology and lost languages, both modern and centuries old, Thompson revives the ancient and mystical into the now. This exhibition is an elusive response to the deepest concerns intensely depicted by Sylvia Plath. The female photomedia artists in Dear Sylvia explore some of the many ways of representing the female body, whether they show their own body, recreate those of others or document the political or social realities of­­­­­­ bodies that suffer and fight. Body Form: Launching ACP’s new Emerging Artist Program, Lin Wei presents distorted and abstracted bodies. Exploring the notion of the uncanny, her images of corporeal puzzle provoke a strange curiosity. A series of exhibitions of exemplary bodies of work created by students from the 2014 New South Wales Higher School Certificate. The bodies of work represent a broad range of subject matter, approaches, styles and media that reflect the high quality of Visual Arts education in New South Wales. Expressive forms include painting, photo media, drawing, printmaking, sculpture, graphic design, documented forms, textiles and fibre, ceramics, time-based forms and collections of works. The theme of this year’s exhibition is Focus. To focus is to give attention, close study or to even narrow your field of vision in order to gain an insight or better understanding of an issue. Focus is required by an artist to resolve a body of work and by audiences to make personal connections to an artwork. Students have been inspired by the material, sensory and imagined world they experience. The bodies of work exhibited reveal how these creative individuals have responded to personal experiences, family histories, consumer culture and current affairs. Students also found inspiration in the study of contemporary art and art of the past. The process of focusing on an idea and developing it into a body of work involves experimentation, an understanding of the materials being manipulated, the mastering of techniques and the developments of signs and symbols leading to the evolution of a concept into an artwork. The selected artists present an understanding of contemporary artistic practices and the changing role of art, technology and culture in the 21st century. With works by more than 60 students, this year’s Armory Gallery presentation is again the largest of all the metropolitan exhibitions. Slide Show of selected works on Art Gallery web site. Pop art exploded onto the cultural scene in the early 1960s as a new generation of artists rebelled against ‘high art’ to embrace the world of advertising, film stars, pop music and consumerism. More than 200 works including masterpieces such as Roy Lichtenstein’s first comic-style painting Look Mickey , Andy Warhol’s Triple Elvis and David Hockney’s Portrait of an artist . An amazing collecting of works with one of my favourites, White Numbers. Along side iconic works from Warhol, Lichtenstein, Koons, Haring and Hockney there will feature Australian artists, including Martin Sharp, Howard Arkley, Brett Whiteley and Maria Kozic. Works from 45 lenders worldwide including the Andy Warhol Museum, Tate and Museum of Modern Art. The Pop Cafe, offering special food and drinks was a different inclusion in the exhibition. On the wall as you enter the Pop silver sign reflects on the silver spheres suspended from the ceiling. “Side Effects Software’s Final Houdini 14 Presentation on the “Down Under Tour” with Jeff Wagner and Paul Fratesi. Check out all the new features that makes Houdini…Pyro, Wet and Dry Sand, Water Sims, Crowds, Hair Grooming and many more. Special Presentation by:Feature Presenter: Miles Green, FX Supervisor at Animal Logic. An overview of how Houdini was used by Animal Logic’ FX department to create a brick based pipeline for Destruction, Water, Pyrotechnics and Crowd effects for the award winning Lego Movie. Turn numbers into Geometry, procedural modelling, geometry and animation. Node based system uses nodes, dags with graph systems and moves data sets around. Physics, fluid simulations, data for terrain, procedural techniques for terrain e.g road on the mountain. Solvers: rigid bodies, bullet, collision geometry, BVH computation, convex hulls, constraints, bullet constraints, point=based dynamics, cloth, FEM soft body interactions, FLIP fluid, smoke with curve forces. Solvers to interact in a physical plausible way. Reference geometry from within Houdini. Geometry texture maps use scatter, cure, density, volumes. Points on the ground can easily make trees. Put whatever we want on geometry. Crowds: ‘packed agent’ primitive type, terrain adaption, look-ate’s, steering tools collision avoidance, motion retiming, crowds for animations, interaction between agents. Engine, change assets and can contain behaviours. Unity runs inside Houdini. Alembic Files, Low-level QT, Ry Side, Open FK/FBX performance, my SQL, Django, CVEX shade code, namespace. LEGO LLD software – FX and Crowds – bricks, bricks and more bricks. Saved as an elm format and could use in the pipeline, converted some to Houdini format. Worked from existing lego pieces and made some new parts for hair and lets. Colour palette of 56 colours. Split the lego models into components for high, mid and lo res, the software could do this and used for different purposes. The models in the library also had a library of custom attributes on points such as scratches, dints, dirt, decal, roughness and scattering. Used bounding box and connection points and established a point based workflow in Houdini, point cloud and could see geometry. Rigid Body Dynamics used for the destruction of buildings, the building represented as points, parts put into clusters, same colours could be ‘glued’ together. Velocity vectors. Bullet solver for water and used lego water. Volumetric, brick built structures. Convert to volume then point grid, used merging and looked at the slope. Smoke, used caches of different things and put into different shots. Played on two’s to replicate the stop motion action. Trailed a curve behind the horse, cars. Went to rendering as a point cloud. There were some handcrafted effects, the curled bricks on a curve where could not do a simulation. Brick Water on points again converted to volumes, floating bricks were allowed and used brick merging and some jitter. Crowds used basic points, point on line, animated the points, slid points along the lines. Used animation cycles and instanced characters onto points. The crowd faces used a basic 5 expressions, had 36 characters. Used brick blur, no motion blur and used a rig for this. China’s terracotta warriors captured the imagination of the world when they were unearthed by a group of farmers in Shaanxi Province in 1974. The discovery of the 8,000 warriors and horses, most of which remains to be uncovered, was one of the most extraordinary archaeological finds of modern times. Created by Chinese artist Xia Nan for the Beijing Olympic Games in 2008, these larger than life lanterns also include women and children arranged in family groups. Fashioned out of fabric and wire, they have all the delicacy of a traditional Chinese lantern, on a scale that inspires awe. With 90 2.1 metre high warriors and two horses glowing in brilliant bursts of colour, this is a sight not to be missed. 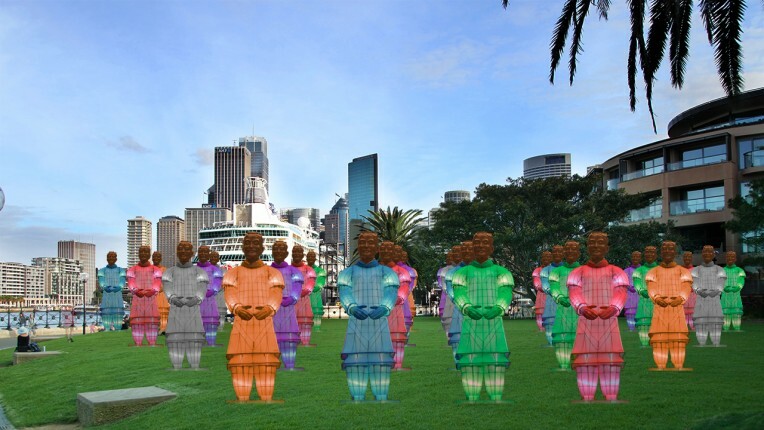 The Lanterns of the Terracotta Warriors have previously only been shown in China and the United Kingdom, and are in Australia for the first time as part of the City of Sydney’s Chinese New Year Festival. Illuminated against the beauty of Sydney Harbour for ten days and nights only, this unique exhibition is an unforgettable experience. Frolic Exhibition: Alpha House Gallery. Hand feeding wild dolphinsis a once in a lifetime opportunity and gives guests staying at Tangalooma Resort the opportunity to interact in their natural environment off the beach. Anyone can come watch the experience from the jetty, giving you a birds eye view of the dolphins entering the feeding area, swimming around and taking fish right out of the hand of the feeders. Stories need drama – risk, conflict and obstacles which gives the story fear (fish and conflict), frustration (conflict and obstacles) and thrill (risk and obsticals) to get an emotional response from he audience. Something against the hero, obstacles, win or lose to see who gets to win. In films look for risk, conflict and obstacles and identify them. Internal conflict is difficult to turn into visual storytelling, needs to be visual conflict. From the point of writing something they want something, then it is not what they want and then they feel distraut. Need Obstacles, they need to be natural and to give the characters something to act on, some energy. Worked up to it from all the events, emotional, intellectual and the steaks have to be hight or nobody cares. Choices when something is at risk. Impact and consequences of choices, start with a little choice and they get bigger and bigger. The audience has to know a risk is being taken or there is no story. Have to make the character want something and then take it away. Make people feel something, make memorable. Use the things of everyday life and take people on a journey, make you choose, make you suffer with the need to be inspired to survive. Needs to be so compelling that people are drawn in emotionally. They will always remember how you made them feel. Defeat death and save lives. Join us at Newington Armory Gallery for designing your future. 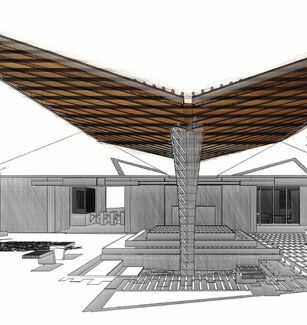 Now in its fourth year, designing your future is an educational design collaboration between Sydney Olympic Park and South Western Sydney Institute’s Lidcombe Design students. It celebrates cutting edge design work across the creative disciplines of furniture design, product design, interior design, interior decoration and design fundamentals. The exhibition offers a unique glimpse into the future direction of design in Sydney and features works by more than 75 talented TAFE graduates. It also provides a public platform for students to showcase works that have been awarded prizes from companies such as IKEA, Intercad, Graphisoft and The Colour Society of Australia, among others. This entry was posted on October 21, 2018 by Thérèse. It was filed under year and was tagged with 2015.